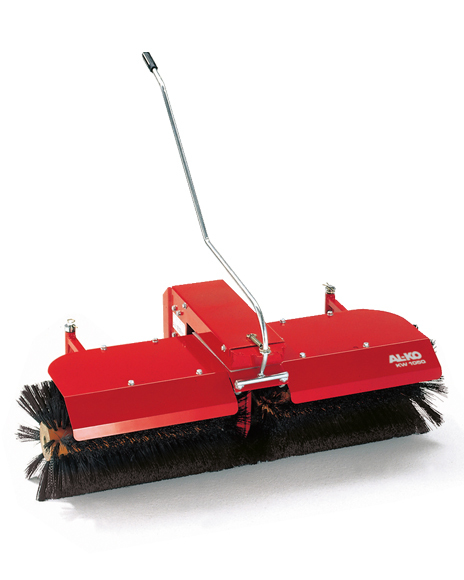 Brush sweeper without dust box. Section plate for side adjustment. Guide wheels are adjustable in height. Round brush divided in middle, with polypropylene bristles, Ø 300 mm. Attachment for use with the AL-KO BF5002-R Power Unit AK110493.